INQUISITIVE, PENSIVE, INSIGHTFUL, COMMITTED, INDIVIDUAL, LOYAL; THESE ARE CHARACTERISTICS OF AN OLD SOUL, AND THEY ALL ARE AN APPROPRIATE FIT FOR TAYLOR GREY. THE 18-YEAR-OLD TAYLOR HAS OLD SOUL POURING OUT OF HER; OUT OF HER LYRICS, HER MUSIC, HER SONGS, HER VERY BEING. TAYLOR TAPPED INTO HER INNATE WISDOM—WITHOUT REALIZING IT—AS EARLY AS SECOND GRADE EXPRESSING HERSELF THROUGH MUSICAL THEATRE IN THE BAY AREA WHERE SHE GREW UP, AND CONTINUES TO LIVE. HER MUSIC ENDEAVORS STARTED WITH LYRIC WRITING IN LATE ELEMENTARY SCHOOL. IT WASN’T UNTIL THE START OF HIGH SCHOOL, HOWEVER, AND HER EXPERIMENTING—SELF-TAUGHT—ON GUITAR AND PIANO, CREATING MUSIC TO ACCOMPANY HER WORDS, THAT SHE STARTING COMING INTO HER OWN. THIS AFFINITY TOWARD MUSIC IS AN INSTINCTIVE ONE FOR TAYLOR WHO HAS ALWAYS ABSORBED THE SOUNDS AROUND HER—FROM THE RADIO, FROM FRIENDS’ PLAYLISTS, FROM HER PARENTS’ LIMITED RECORD COLLECTIONS—TURNING THEM INTO PART OF HER MUSICAL MAKE-UP. TO THIS END, HER TASTES RANGE FROM THE EAGLES, WHO ARE THE ALL-TIME FAVORITE, TO FRANKIE VALLI, THE BEACH BOYS, DION & THE BELMONTS, SUBLIME, AND NWA. THERE IS NO RESTRICTION TO WHAT CATCHES HER EAR: ‘40S JAZZ AND POP, ‘50S R&B AND ROCK ‘N’ ROLL, ‘60S FOLK AND PSYCHEDELIA, LATE ‘70S AND EARLY ‘80S CLASSIC ROCK, ‘90S HIP HOP, AND MODERN DAY SINGER/SONGWRITERS. ALL OF THESE INFLUENCES BLEND INTO TAYLOR’S OWN COMPOSITIONS. IN THE PROCESS, THE SOUNDS GET DISTILLED INTO A REFINED POP CONCOCTION THAT IS AS SOPHISTICATED AND CROSS-GENERATIONAL AS IT IS FRESH AND YOUTHFUL. HER INITIAL HANDFUL OF SONGS FOUND THEIR WAY TO BENJAMIN TAYLOR AND BRYAN MORTON, FORMERLY OF TOURNAMENT OF HEARTS, THE LATTER OF WHOM IS A VETERAN RECORDING ENGINEER (NICKI MINAJ, CHRIS BROWN, KENDRICK LAMAR), THE CONDUIT BEING ONE OF LOS ANGELES’ TOP STYLISTS—AND A MENTOR OF TAYLOR’S—THE THREE SHARE. ONE MEETING AND THEY HAVE BEEN WORKING TOGETHER FOR THE LAST TWO YEARS—BUT ONLY DURING TAYLOR’S SCHOOL BREAKS, BEGINNING WITH HER WINTER BREAK JUNIOR YEAR OF HIGH SCHOOL. TAYLOR HAD A RECORDING SPELL WITH BEN AND BRYAN AT INTERSCOPE BUT IT IS AT SAN FRANCISCO’S COZY AND HOSPITABLE STUDIO TRILOGY THAT THEY FOUND THEIR MUSICAL HOME. THE ACTUAL RECORDING OCCURRED OVER A SIX-MONTH PERIOD DURING WHICH THE THREE WORK INDIVIDUALLY AND TOGETHER ON DEMOING, WRITING, PRE-PRODUCTION, PREPPING THE MATERIAL BEFORE THEY VENTURE INTO THE RECORDING PHASE. THROUGHOUT ALL THIS, TAYLOR KEPT UP WITH SCHOOLWORK, GAINING A FRESHMAN SPOT AT PRESTIGIOUS STANFORD UNIVERSITY WHERE SHE IS CURRENTLY ENROLLED. TO QUOTE BEN, “IF THE LUMINEERS WERE A SOLO ACT AND FEMALE, THAT WOULD BE TAYLOR.” ON HER EP, MIND OF MINE, HER FIRST WORLDWIDE RELEASE ON KOBALT, TAYLOR’S OLD SOUL IS THE DRIVING FORCE. MIND OF MINE HAS THE TEARING ANGST OF TORI AMOS, THE INTROSPECTIVE RELATABILITY OF ALANIS MORISSETTE, THE UNIVERSAL TIMELESSNESS OF MICHELLE BRANCH, THE ADAPTABLE CLASSINESS OF DIANA KRALL, ALL FEMALE FORERUNNERS WITH ENVIABLE SONGWRITING CHOPS. TAYLOR BALANCES HER MYRIAD OF MUSICAL STYLE INFLUENCES WITH APLOMB ON MIND OF MINE. SHE KEEPS HER SONGS SIMPLE, NOT WEIGHING THEM DOWN WITH TOO MUCH STUDIO INTERFERENCE. CASE IN POINT, THE REVEALING TITLE TRACK, WHOSE STRIPPED, ACOUSTIC VERSION EXPOSES IT TO ITS BARE BONES, WHICH PROVE TO BE STRONG TO THE MARROW. “GUYS LIKE YOU” EFFERVESCES WITH FROTHY FUN, FIZZING LIKE A JUST CRACKED OPEN CAN OF SODA. “WAIT WAIT WAIT” IS IRRESISTIBLE WITH ITS EFFORTLESS BUT STICKABLE MODERN POP-ROCK CHORUS. SIMILARLY, THE PREVIOUSLY HEARD “HOME” FEATURES CLEAN AND UNFETTERED MELODY LINES THAT ARE NONETHELESS INSTANTLY MEMORABLE. “LOVE SWEET LOVE,” WHOSE VIDEO HAS MADE THE TEEN VIDEO VIEWING ROUNDS, SEES A BRIGHT, FRIENDLY, AND TANGIBLY WARM TAYLOR ENJOYING A SUMMER DAY AS SHE AND A LOCAL BARISTA CRUSH ON EACH OTHER. HER LATER MATERIAL, THE GALLOPING RHYTHMS OF “WAY BACK HOME” AND THE SWEEPING ORCHESTRALS OF “WHEN THE STORM COMES,” FEATURED ON HER AFOREMENTIONED UPCOMING ALBUM,FALLIN’, SHOW A MARKED GROWTH AND CONFIDENCE IN HER EXPRESSION. 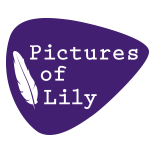 This entry was posted on January 30, 2016 by Lily Moayeri in Bios & Press Releases and tagged biography, lily moayeri, mind of mine, singer, songwriter, taylor grey.